January 29, 2014 / Varun G.
It’s a suit that, when worn properly, has an almost vintage elegance; the re-envisioned plaid suit comes across as erudite with hints of unexpected traditionalism. November 14, 2013 / Varun G.
It's time to put the silk away for a while and get on board with the new go-to neckwear of fall and winter. November 11, 2013 / Varun G.
Unlike the boxy models of old double breasted jacket, the modern version of this classic jacket is chic and streamlined. November 07, 2013 / Varun G.
TWEED 101 - Tweed is a rough, unfinished woollen fabric, of a soft, open, flexible texture, resembling cheviot or homespun, but more closely woven. It is made in either plain or twill weave and may have a check or herringbone pattern. When layering clothing with a suit jacket, a simple scarf can keep chilly air away from your body while providing flair to your wardrobe. October 24, 2013 / Varun G.
October 22, 2013 / Varun G.
October 18, 2013 / Varun G.
October 17, 2013 / Varun G.
Every man should own one made to measure suit. Or two. Worth the money: cashmere socks. Trust us. You should know how to sew on a button. Leave everything else to the professionals. Accessories should be accessories, not affectations. If you have to think too much about it, skip it. A pocket square should complement—not match—your tie. When in doubt, a white linen handkerchief always looks sharp. 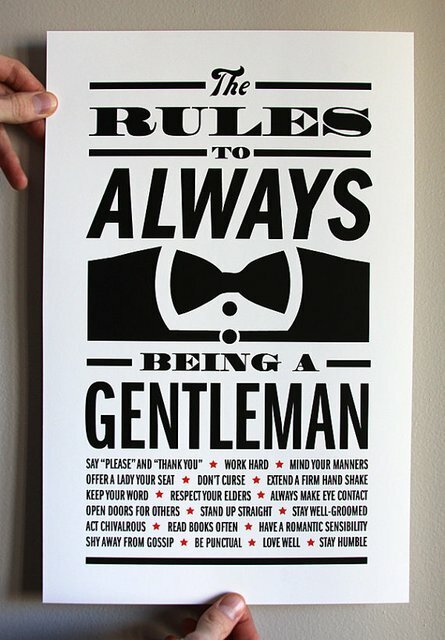 Every man should know how to tie a bow tie, even if your occasions to wear one are few and far between. 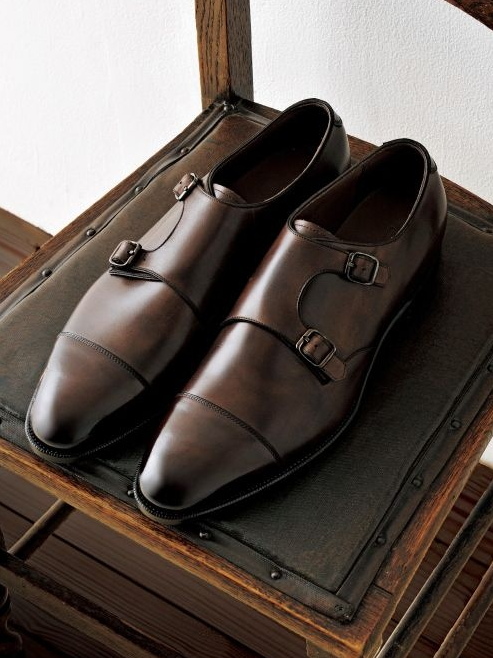 Well-made shoes can have you covered for 10 years or more. Return the favor with shoe trees and a polish now and then. Narrow tie, small collar. Traditional tie, full size collar. Simple. Some things look better with age. White shirts are not those things. Yes, real men get manicures. The thinner the wallet, the better. Who wants to ruin the lines of your suit? Learn to layer. There’s no reason to have only one way to wear one piece. Practice makes perfect. You may get special treatment at the airport if you have beautiful luggage. And if you don’t get special treatment, you still have beautiful luggage. Yes, you can wear a turtleneck. Two words: Steve McQueen. 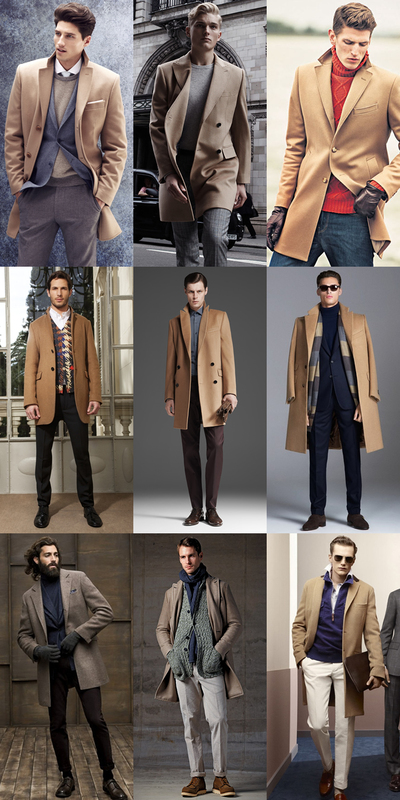 Remember: come winter, your topcoat will be the first thing (and sometimes, the only thing) people see when they see you. Invest accordingly. May 02, 2013 / Varun G.
The world’s most manly men (Tom Ford and David Beckham come to mind) are pretty much always in some sort of blazer, which is basically like an express ticket to Testosterone-ville. After all, the only reason people care about clothes in the first place is to attract other people so that they can take them off. 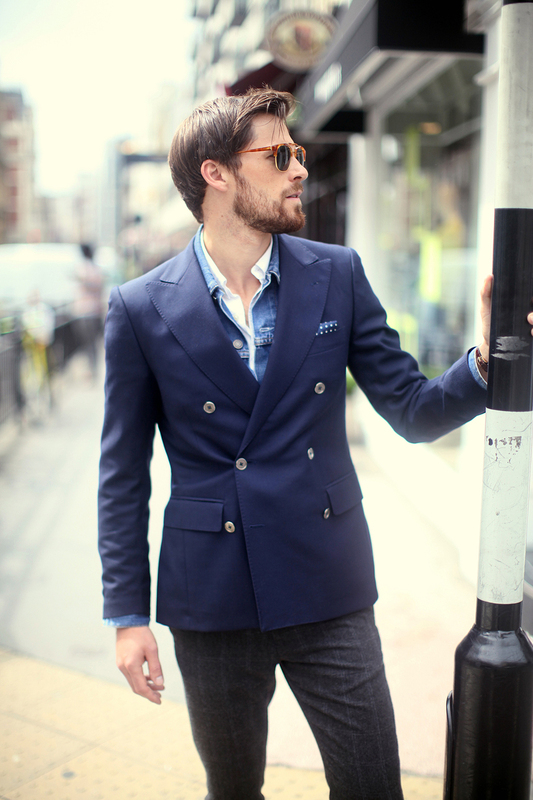 A formfitting blazer can create a completely new silhouette for your body - even if you’ve been skipping the gym. Whether it's love handles, a spare tire or flabby forearms, the clean lines of a blazer will instantly lean you out. The blazer is one of the few items of clothing in a man’s wardrobe that can work with anything from black tie to a T-shirt. In short, the possibilities are endless. Of course, just any old blazer isn’t going to get you laid, drop 10 pounds or integrate seamlessly with a cummerbund. April 23, 2013 / Varun G.
An old-school look is getting the new-school treatment. Yes, thanks to the visionary efforts of some truly “mad men,” the plaid suit has found a new place in the annuals of today’s sharpest dressers. It’s a suit that, when worn properly, has an almost vintage elegance; the re-envisioned plaid suit comes across as erudite with hints of unexpected traditionalism. However, that’s not to say it can automatically put you at the head of the class. Without the proper know-how, a plaid suit could just make it look like you’re playing office in grandpa’s suit. We wouldn’t want that to happen, so here’s a brief primer on how to pull off a plaid suit. What is a plaid suit? When guys hear “plaid,” most think “kilt.” That’s not what we’re talking about. In contemporary menswear terms, “plaid” refers to three individual fabric patterns that create interesting depth in the aesthetic of the suit: windowpane, glen plaid and Prince of Wales. The windowpane suit has both horizontal and vertical pinstripes that intersect to make boxes; the glen plaid is a tight twill pattern of broken checks; and the Prince of Wales is actually a glen plaid on a windowpane scale. When to wear a plaid suit? When it comes to the workday, the plaid suit is super-sartorial. It has a dapper, alt-executive demeanor that pulls a 180 on the solid suit: It has a modish appeal that makes a solid seem outmoded and dull. The plaid suit owns distinctive style and eminent versatility. The individual components can be worn separately to more relaxed, stylish events. For instance, pair a bold-plaid blazer with jeans for your next date to impress her with your outside-the-box abilities. How to wear a plaid suit? The plaid suit presents you with many options. For the truly sophisticated, the patterning should be very subtle; trendier looks can be derived from bolder patterns. And since it does suffer from an old-timer stigma, the fit should be closely tailored in order to pull off a plaid suit. In fact, it’s the fitted tailoring that allows this particular style of suit to transition from retro to royal. Ways to wear a plaid suit? Windowpane: Here the pattern is straightforward and what you see is what you get. So, the best choice is to go “two for three” with patterns. 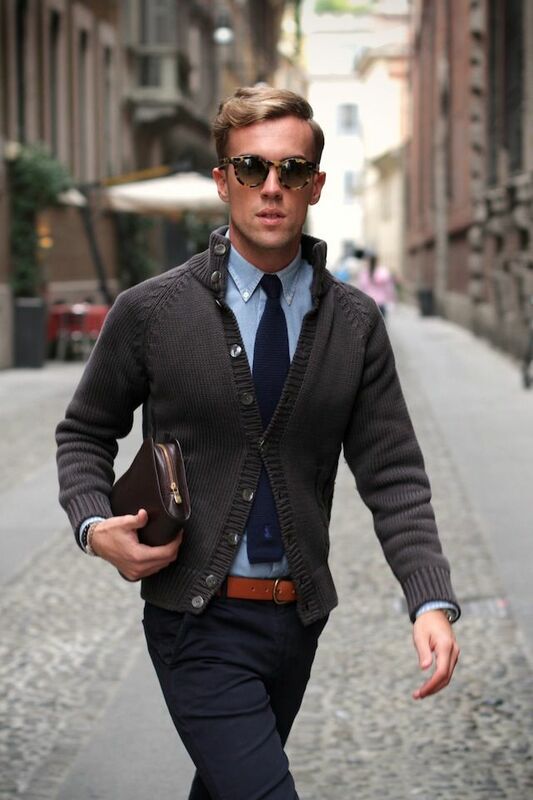 Those with more fashion sense can probably pull together three patterns with a fair amount of ease though. Glen Plaid: The pattern in a glen plaid is much more subdued; you can always play it safe by wearing a solid shirt and a patterned tie or you can experiment with three patterns: Consider a striped or lightly checked shirt with a patterned tie. Prince of Wales: The intricate patterning and bolder lines running through a Prince of Wales plaid are more noticeable. The smart choice is always playing it safe: Go with the solid shirt and the patterned tie. Let the suit speak for itself in this instance. Why wear a plaid suit? It’s an unexpected alternative to the everyday dress code. The look is presently enjoying a modish revival that lands outside old routines. In a plaid suit, a man looks dapper, demanding and distinguished. Born To Tailor endorses this. This is a pair of shoes that every man must have. This will be your go to pair of shoes whether you want to dress up or down. Custom Tailored Clothing - Now for WOMEN. February 22, 2013 / Varun G.
When will you start making women's suits, dresses, coats, pants, blouses & skirts? This is one question that everyone's been asking me for a while now. So, here we are with the answer. So, if you are a woman and always have a hard time with off-the-rack fit then give us a call. We will tailor absolutely anything for you. After all, that's what we are born to do. Join our mailing list to receive information on special deals that we offer from time to time. Thank you! We DO NOT share your information with anyone. Your privacy is very important to us.